Reggie was scramblin’ for the surf and sand! 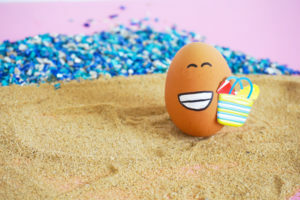 When our little egg-lets got out of school for the summer in June, we hit the beach! And the fun was boiling over! Here at home in Lancaster County, we’re egg-credibly blessed to have one of the USA’s most famous July 4th celebrations right in our own backyard in Lititz, PA. 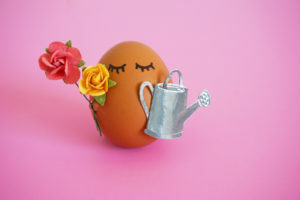 Pretty eggs-citing! 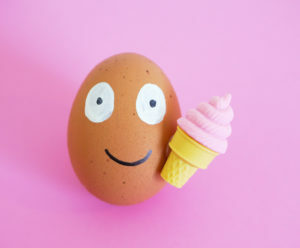 Our little egg family never misses the fun! We also hit the mountains in July! Papa Sunny had some eggs-ceptional fishing days! And we enjoyed mountain biking and cooking our food over the campfire. In August, we spent most of our days hanging out the pool and eating lots of Kreider’s ice cream! Yummmm… Cow Palace and B-udder Brickle are the BEST! We also had a ton of family cook-outs (no deviled eggs allowed)! And we celebrated Cregg and Jessegga’s birthdays! 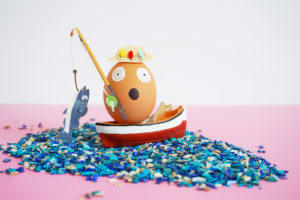 Now the summer fun is done, but we’re hatching lots more egg-ventures to share with you soon! In the meantime, don’t you want to take some our eggs home to enjoy with your family?